Go on a quest to recover the legendary Tools of Kagrenac. Encounter new allies and enemies, explore sprawling dungeons and add powerful new artifacts and spells to your arsenal in this fully voiced quest mod! 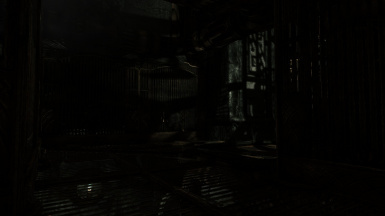 If you like to use any meshes or textures from this mod please contact us first. Not every asset is made by us so we can not give you permission to use those. CAN be used to overwrite your current version ONLY IF you are currently using TOK v1.2. If using v1.11 or older, I recommend against updating unless using a new character, or one that's never used the mod. - Repack the BSA file to fix the missing interface textures for the Kagrenac's Tools book. 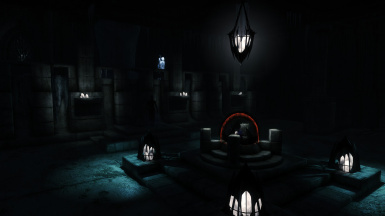 - Minor cluttering improvements to Aba-Malatar Sealed Sanctum and Silent Halls/Chamber. - Forward a few USLEEP fixes. 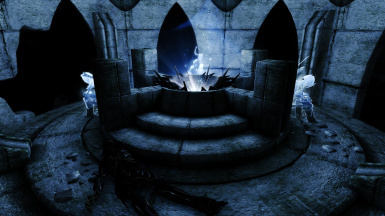 - Updated the "Immersive College of Winterhold" patch. TOK v1.2 is NOT INTENDED AS A HOT-FIX. v1.2 is intended for use by characters that have not used this mod, or those who have already completed the quest. Quest WILL break otherwise. - Sunder Vault is now clearable after the related puzzle is completed. 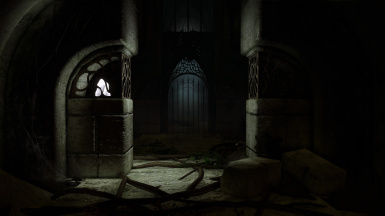 - Revamp the Sealed Sanctum in Aba-Malatar with more variety in deadly traps and a new gate puzzle. 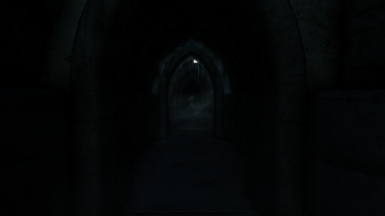 - Improved lighting, sound, and visuals for all included dungeons. - Many additional clutter improvements. - Optimized exterior/interior Navmesh for all dungeons. - Atalatar location now has exterior Navmesh properly implemented. - Replace the Welkynd stone NIF with a lootable version. - Improved Mathis, Vonos, and Yassour AI package. - The Aetherial amulet power can now summon the third tier of Dwarven automaton allies. - Remove an unnecessary keyword from Sunder proc ability which made it ineffective against certain enemies. 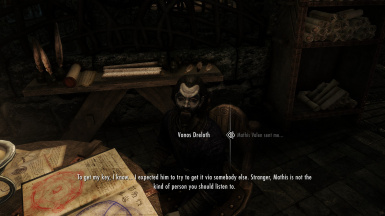 - Added Vonos Dreloth to the College of Winterhold faction. - Vonos will now occupy Arniel's bedroom after his disappearance. - Slight improvement to a few quest scripts. - Improved a few quest logs entry. - Rename the 'Mysterious Note" to "Anonymous Note." - Curse key, Chamber key, and Sanctum key will now turn into quest items until the related quest is completed. 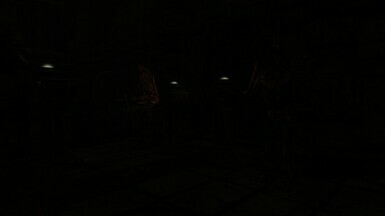 - Mathis final confrontation will now start in a more scripted event. - Oio-Lalor Lich boss will now respawn on cell reset. 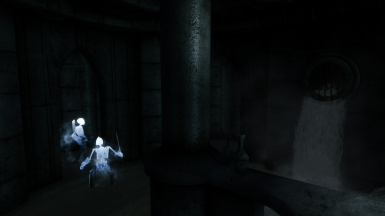 - New Ayleid dungeon music added. 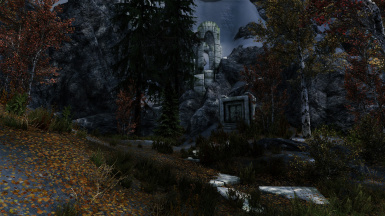 - Repack the BSA file to now include the missing Ayleid LOD textures. - Fix an issue where you were unable to pick up the Aedra stone in Oio-Lalor thus stopping progress in the main quest. - The Ayleid key from Oio-Lalor is now properly removed from your inventory when entering the main chamber. 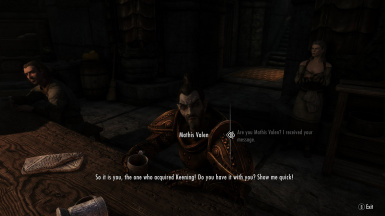 - Mathis Valen final dialogue slightly improved. DO NOT update the mod from v1.0, unless you are willing to use a different character that has never used the mod. Mod has been completely remade from the ground up. 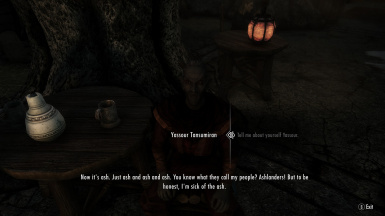 - Added new dialogue for all unique NPC's. - Conditional checks for all dialogue improved. - Massive amount of Typo's/Grammar/Punctuation fixes. - Slight changes to the courier delivery of Mathis note. - The curse Dwemer key now gives an actual curse effect. - Vonos missing ring now randomly spawns in the Arcanaeum. - Minor improvements made to the shapeshifting spells and removed the requirement to be an expert in alteration to purchase them from Vonos. 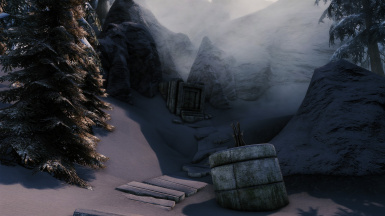 - Change Sunder's resting place from Rkund to a location near Mount Anthor to ensure compatibility with Icecreamassassin's LOTD. - Significant improvement to Sunder's vault and added a misc quest for assisting with the puzzle. 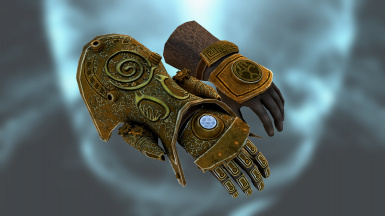 - New art assets for the 36 lessons of Vivec and Kagrenac's Tools books. - Added a massive earthquake to Sunder's vault and lava should now correctly rise to the ceiling when you failed the trial. - Remove an unnecessary script from Yassour misc quest. 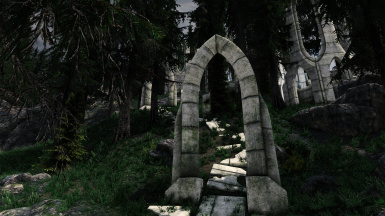 - Overhaul of the Ayleid ruins exterior using the Beyond Skyrim Ayleid assets. 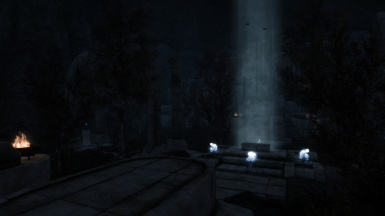 - Two new Ayleid dungeons added using the Beyond Skyrim Ayleid assets. - Final dungeon entrance change to the Silent Ruin as a magical portal and has been renamed accordingly to its new location. 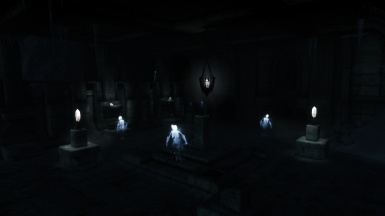 - Improvements and bug fixes made to the Dwarven dungeon. 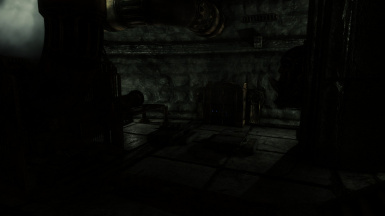 - A new Ayleid creature added and improvements and rebalancing of currents enemies. - All item favor text removed and replaced with a proper item description. - Significant enchantment improvement and bug fixes to the tools and Aetherial set. - Mesh and texture improvement for the Aedra stones. - Misc fixes for reported bugs. If you ever played Morrowind, then you know Keening, Sunder and Wraithguard and how incredibly powerful these artifacts were. 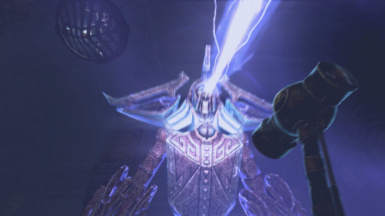 If in Skyrim you joined the Mage’s Guild, you probably were thrilled to see Keening make a return at the end of the Arniel’s Endeavor questline. But why is Keening so weak compared to its version in Morrowind? And where are Sunder and Wraithguard and what happened to them? 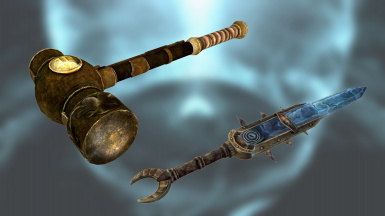 This mod reintroduces the rest of Kagrenac’s Tools to Skyrim and unlocks their full potential! 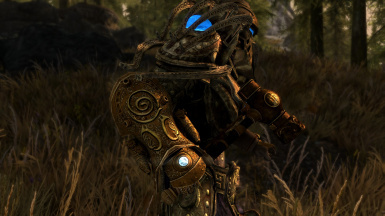 Go on a quest to obtain these incredibly powerful artifacts in Skyrim! 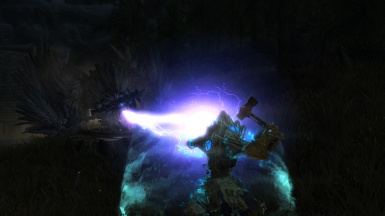 - Embark on a quest to unearth the legendary Tools of Kagrenac! - Fully voiced with 300+ lines of dialogue! - Enjoy hours of new gameplay with sprawling new dungeons to explore and new challenging enemies to overcome. 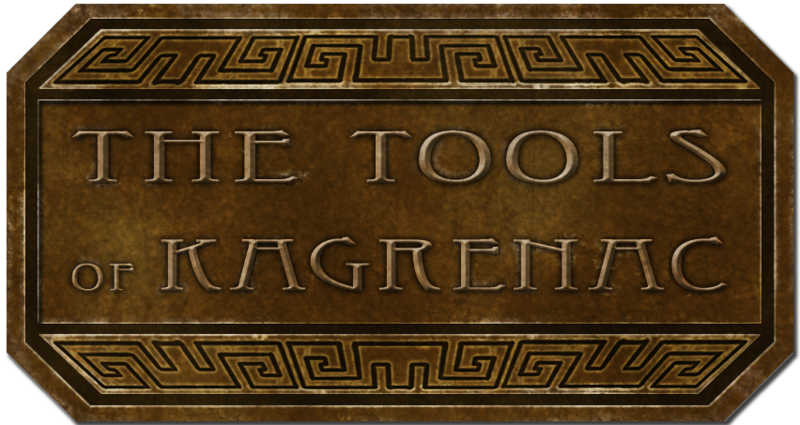 - Discover what happened to Kagrenac's Tools after the events of Morrowind and help restore them to their former glory. - Get your hands on many new items, spells and other treasures. Your quest won’t be easy, but the rewards and fame will be unmeasurable! Get a full overview of content items and spells added to this mod right here! You start this quest by first obtaining Keening. To do this, you’ll have to join the Mage’s Guild and finish the side questline Arniel’s Endeavor. You’ll also need to have finished Dragon Rising in the main questline. A couple of days after you completed Arniel’s Endeavor and claimed Keening you will receive a letter from the courier, and the quest will kick off. Make sure you have Keening in your inventory, it will turn into a quest item when the mod starts! If this doesn't happen, try dropping Keening in an interior cell, leaving that location, then returning and picking Keening up again. When Keening becomes a quest object and can't be dropped you know the quest has started properly! All DLC / Legacy edition is required. We won’t make a version that does not require DLC! The easiest way to install (and this is recommended) is to download using the NMM or a similar mod manager. It can do the downloading and activate for you. If for some reason you want or need to do a manual install just download and extract the content of the .7zip to your Skyrim/Data folder (choose to overwrite if asked). Make sure you meet all the quest requirements as detailed above in the Quest Start section! Also, be very sure that you have Keening in your inventory, it will turn into a quest item when the mod starts! Keening up again. When Keening becomes a quest object and can't be dropped you know the quest has started properly! Where is the ring in the Arcanaeum? 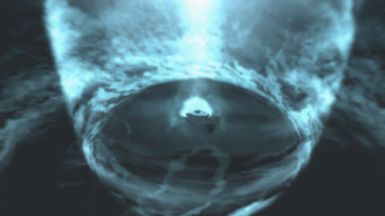 ﻿Answer: The ring will randomly spawn in one of five different locations around the Arcanaeum. 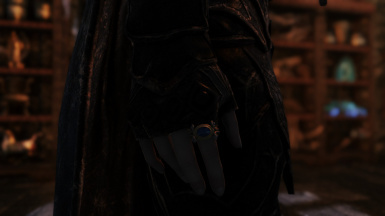 The first ring is located in Urag gro-Shub's desk. The second ring is on the right side on top of a table in the center of the Arcanaeum. The third ring is on the far right side under a pile of books. The fourth ring is on the far left side inside a cup on the second table closest to Urag gro-Shub's desk. The last ring is near the entrance to the Arcanaeum underneath the first bench you see. If you don't find the ring there, see if you have any mods that modify the Arcanaeum and in particular that area. Try moving ToK down your load order or deactivating the other mods. How do I solve the Sunder Vault puzzle? Here are a few hints to help you. Try using only 1 or 2 hints and see if that gets you on the right path. Hint 5 contains the full answer. Hint #1: Find the book at the end of the walkway by the three buttons. There's a note inside. First, read the note, then the book. What are the similarities? Hint #2: The titles in the note correspond with the numbers 1, 13 and 29. These are not the numbers needed to unlock Sunder, but what do they mean? And what do the numbers behind each title mean? 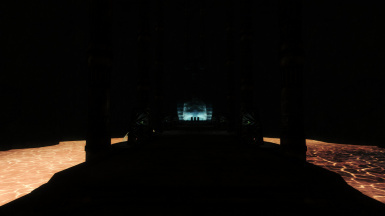 Hint #3: At the entrance to the Vault you'll find multiple volumes of the Sermons of Vivec. What are the numbers of these volumes? Hint #4Find number 1, 13 and 29 of the Sermons. Then look for the 349th word in the 1st Sermon, the 129th word in the 13th Sermon and the 56th Word in the 29th Sermon. Does (Mod X) conflict with ToK? ToK should only have a conflict with mods that edit Keening and the same locations. Will you create a patch for (Mod X)? Depends how complex that patch would be. So.. maybe? Can I translate ToK to another language? Sure! Please share your translation with us so we add it to the page and more people can find it. Can I use assets from your mod for my mod project? Depends on the asset, since we did not make everything in this mod.